The Grenfell Tower fire has brought UK Fire Regulations into sharp focus. A BBC report today says that large scale tests on cladding materials have failed even in laboratory conditions (see here). The implications are staggering for both Government who wrote the regulations and designers who followed them. Root and branch changes are likely to follow the Grenfell inquiry. 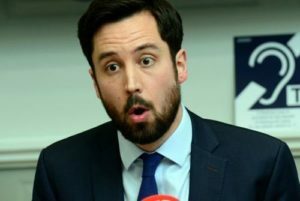 Meanwhile in Ireland Minister Eoghan Murphy disappointed industry commentators when he confirmed his intention not to re-establish the Building Regulations Advisory Board (BRAB). This comes soon after it was revealed that his Department has refused publication of a long-awaited report into Millfield Manor Fire of March 2015 and a separate report with wide-ranging recommendations for improving fire safety in existing defective developments. “…we examined in detail the Northern Ireland system as part of our research. This type of Local Authority operated Building Control system was the first choice of BRAB but we were advised by the DECLG officials that there was no point in recommending this to the Minister as it ‘was not going to happen’ in Ireland. Since the previous Minister [Phil Hogan] brought BRAB to an end in 2012, there has been no such semi-autonomous advisory body, with members drawn from all sectors of the construction industry, to advise the Minister and the Department on matters pertaining to Building Regulations and Building Control. Since May 2012 most of these organisations have no longer had any input into building control. The Department of Housing engage with just four key industry stakeholders- the Construction Industry Federation (CIF), Society of Chartered Surveyors in Ireland (SCSI), Association of Consulting Engineers of Ireland (ACEI) and the Royal Institute of the Architects of Ireland (RIAI). Former Minister Phil Hogan’s BC(A)R SI.9 ‘reinforced self-certification’ amendments were subsequently introduced in 2014 and continue to receive widespread criticism by consumer groups and industry legal experts as adding little in the way of enhanced consumer protection. I understand the body referred to in the Deputy’s question is the Building Regulations Advisory Body (BRAB). Section 14 of the Building Control Act 1990 provides for the establishment, at the Minister’s discretion, of a BRAB to advise the Minister on matters relating to building regulations. The term of office of the last BRAB expired on 1 October 2012. The members of that BRAB were appointed for a term of office of five years from 14 June 2007 to 13 June 2012. A temporary extension to 1 October 2012 was granted to the existing members in light of the Building Control (Amendment) Regulations which were at an advanced stage of development at that time. In accordance with Appendix IIb of the Government’s Public Service Reform Plan, published by the Department of Public Expenditure and Reform in November 2011, the BRAB was listed as one of the forty six “Candidate Bodies for Critical Review by end June 2012”. The outcome of that review process was that the work of the BRAB was to be absorbed into my Department. I have no plans to establish a new BRAB at this time. SI.9 | Irish solutions to Irish problems only! This entry was posted in Building Regulations on July 27, 2017 by BRegs Admin. I was first appointed to BRAB in 1995 and served continuously until its cessation in 2012. So Brab gave invaluable advice and input into the work of the Department for more than 17 years. It is shameful that the panel of Industry advisers to the Department has been reduced to such a restricted few. I would like to congratulate Ms Germain and through her the BRAB for what they have done and what they have tried to do down the years to improve the standards in the Irish Building industry for the Public Good. But this government does not act for the Public Good, except where mere coincidence takes place. It is now quite clear that this government is pandering to the requirements of the main dodgy players in the building industry in Ireland. These are the people who intend to profit from selling substandard building works while risking the lives of the occupiers in their death-traps. As an aside, this is the second picture I have seen of this Minister doing a passable impersonation of a goldfish. Is this is default expression?